Chris was born on 24 September 1982 in Boston, Massachusetts. He lived in Athens, Ohio from 1984-1990, when the family moved to Littleton, Colorado. Chris attended Northridge Elementary School, Cresthill Middle School, and graduated from ThunderRidge High School in 2001. On 25 October 2001, Chris enlisted in the U.S. Army. He was stationed at Ft. Benning, Georgia for his Basic Training, Advanced Infantry Training and Airborne School. In June 2002, he completed Special Forces Assessment and Selection, and was assigned to the Special Forces Qualification Course and graduated 21 May, 2003. He was assigned to Operational Detachment Alpha 316, Company A, 1st Battalion, 3rd Special Forces Group (Airborne) as a Weapons Sergeant (18B). He was promoted to Staff Sergeant (SSG) on 1 November, 2004. His first overseas deployment was in February, 2004 to Gereshk, Afghanistan in support of Operation Enduring freedom. His second deployment was also to Afghanistan in June, 2005. He was killed in action during the fifth of seven contacts in the 54-hour Battles of Mari Ghar in Afghanistan on 8 August 2005 while saving the lives of his 10 teammates and 16 members of the Afghan National Army that were assigned to his team. He was buried at Arlington National Cemetery on 22 August 2005. 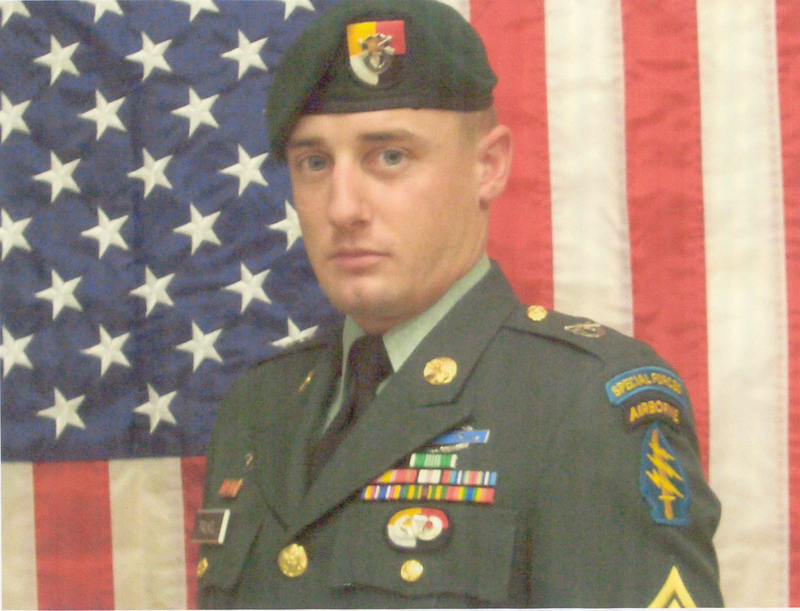 SSG Christopher M. Falkel’s awards include the Silver Star for his valor and the Purple Heart on 8 August 2005.